LAS VEGAS (AP) Marc-Andre Fleury gave Blake Wheeler quite an earful. 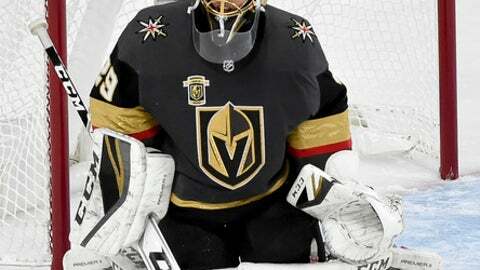 During a scrum behind Vegas’ net with 2:34 left in the second period of the Golden Knights‘ 4-2 victory over Winnipeg on Wednesday night, Fleury reached over with his left hand and tickled the left ear of the Jets‘ unsuspecting Blake Wheeler . There sure are – and video of the ear tickle quickly became a big hit on social media. Wheeler, whose helmet was off and had his back to the goalie, somehow seemed unfazed by the, well, ”eary” feeling.